Form follows function for this single family residence. The design and floor plan are in response to a small oddly shaped lot. 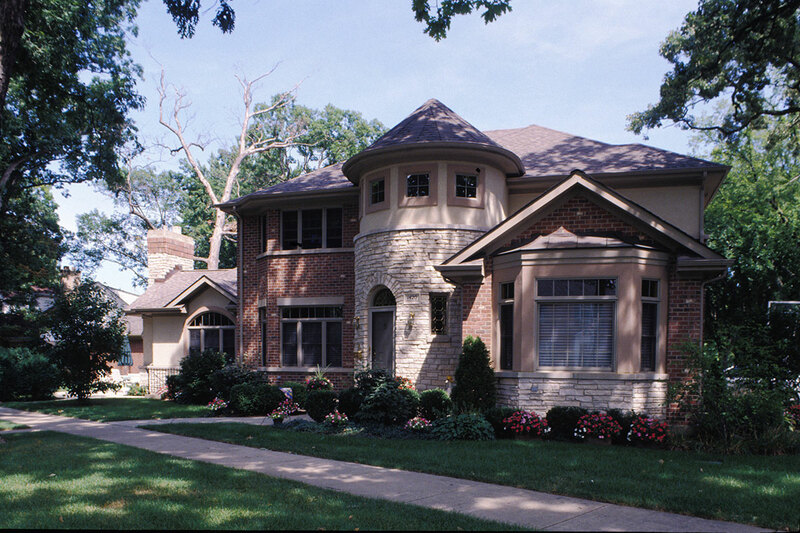 The stone and stucco 2-story entrance turret exemplifies the underlying theme of properly proportioned masses and materials. 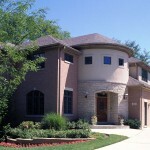 The turret encompasses the main stair and serves as the hub of the home. The foyer offers direct access to the dining room, living room and kitchen on the first floor and bedrooms on second floor. The kitchen opens to the breakfast room and vaulted family room with masonry fireplace.